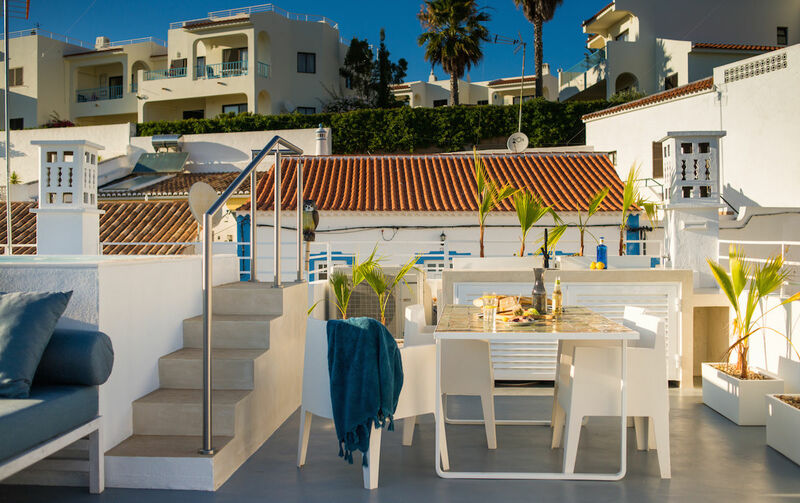 Located in the heart of Carvoeiro, yet away from the hustle and bustle is our apartment Casa Xarocco. 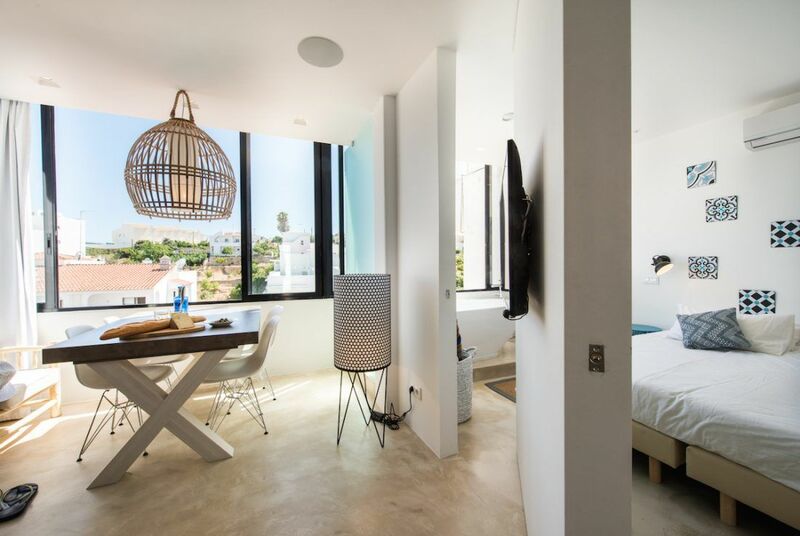 It is suitable for up to 4 guests, with private parking and within walking distance of the beach and the many excellent restaurants that the village has to offer. 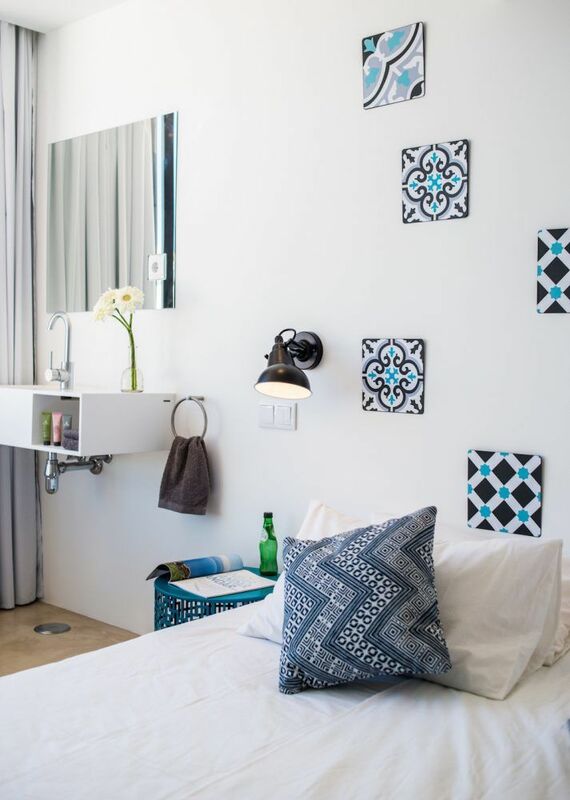 The apartment is equipped with every luxury you could want with the comfort of our guests in mind. 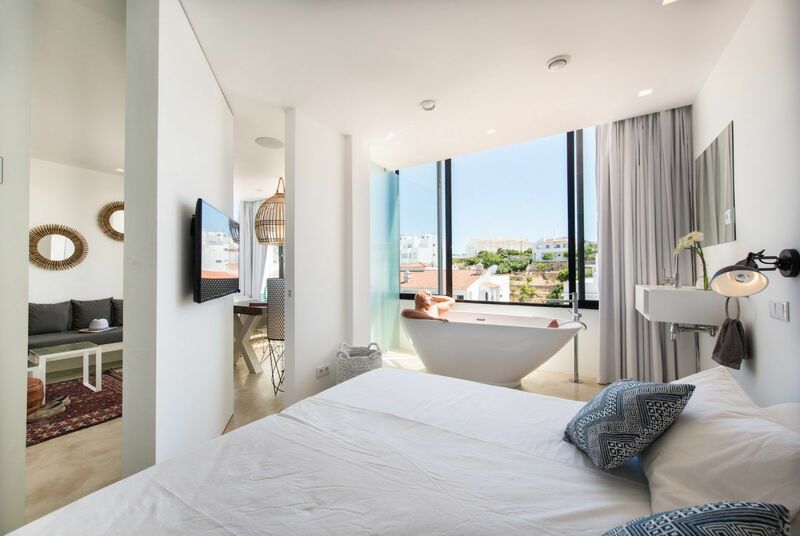 It has a southerly aspect giving you magnificent views over Carvoeiro and the sea from the living room and master bedroom. Bed linen and towels are provided as are bathrobes. 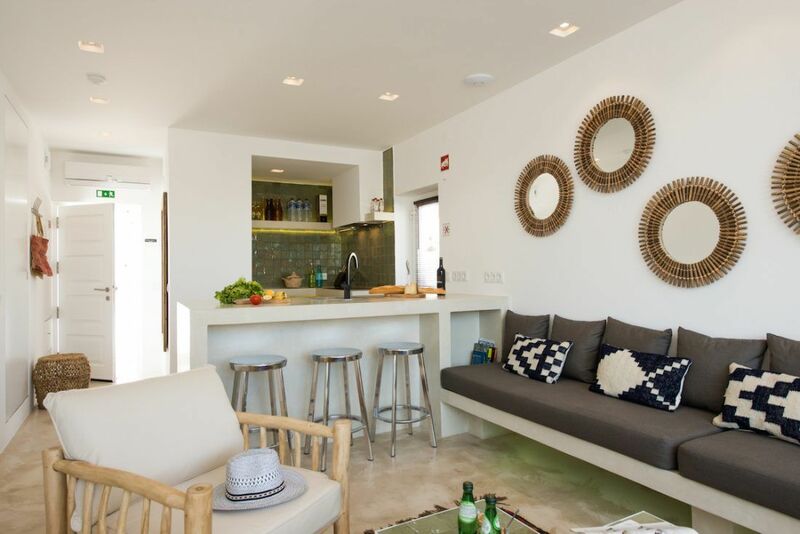 Casa Xarocco is also perfect for longer-let winter vacations. 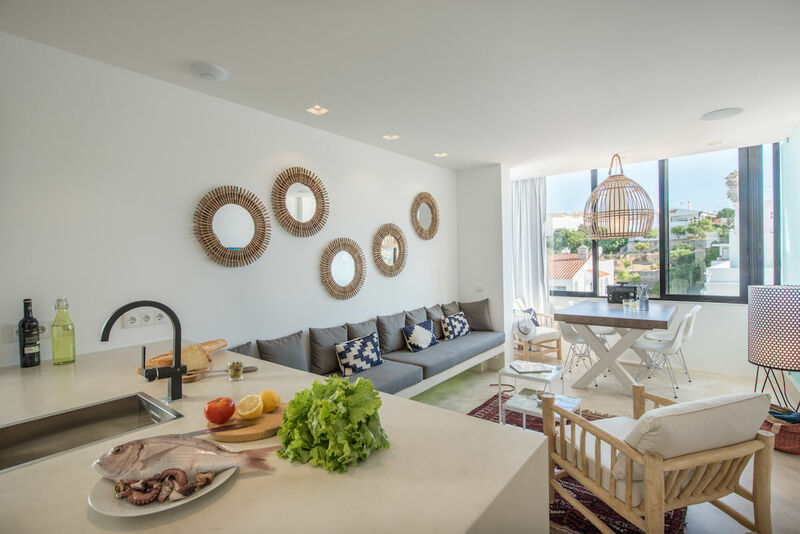 The house has heating, air conditioning a washer-dryer, Wi-Fi and satellite TV, and with your mobile phone you can operate the Sonos music system. 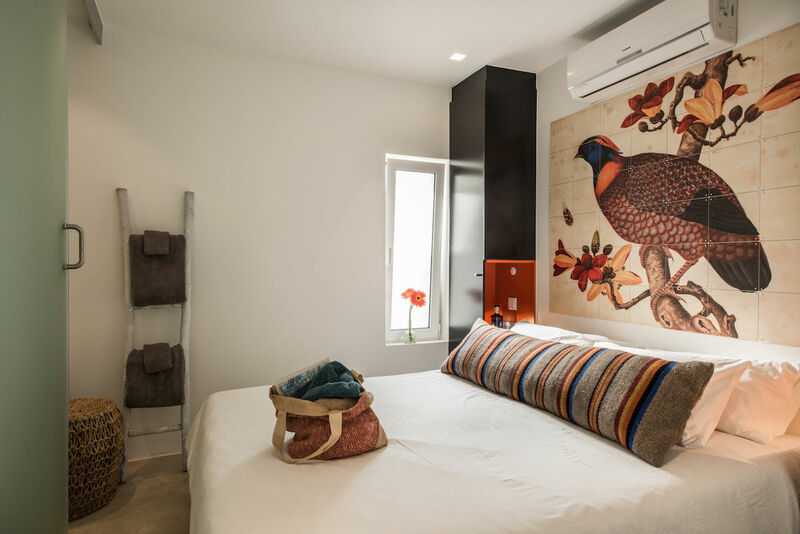 Casa Xarocco is the ideal place to spend your vacation. Car: It is not necessary to rent a car when staying at Casa Xarocco. The living room is furnished with comfortable furniture and equipped with satellite TV. 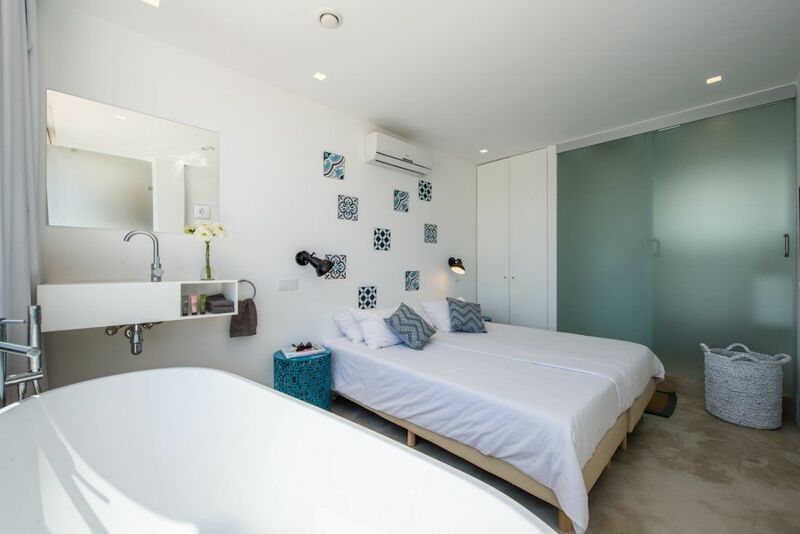 Casa Xarocco has two double bedrooms with en suite (toilet and shower). 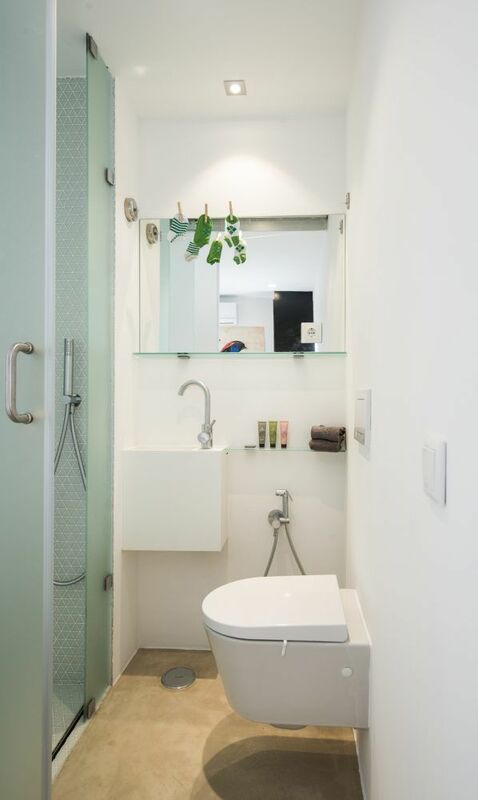 In addition, the master has a freestanding bath where you can relax watching the sunset and enjoying the last rays of sun on your face. The kitchen, equipped with all modern appliances includes a breakfastbar. 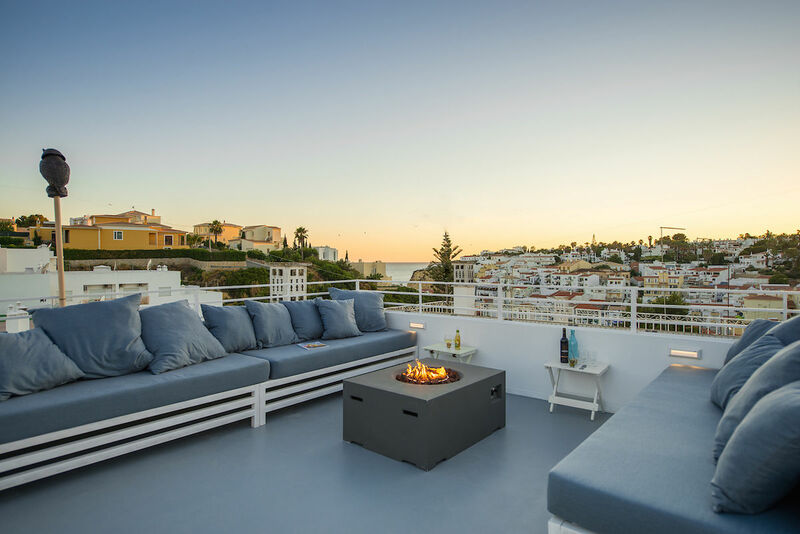 Lie back on the rooftop sun loungers and feel the warm breeze in your hair. 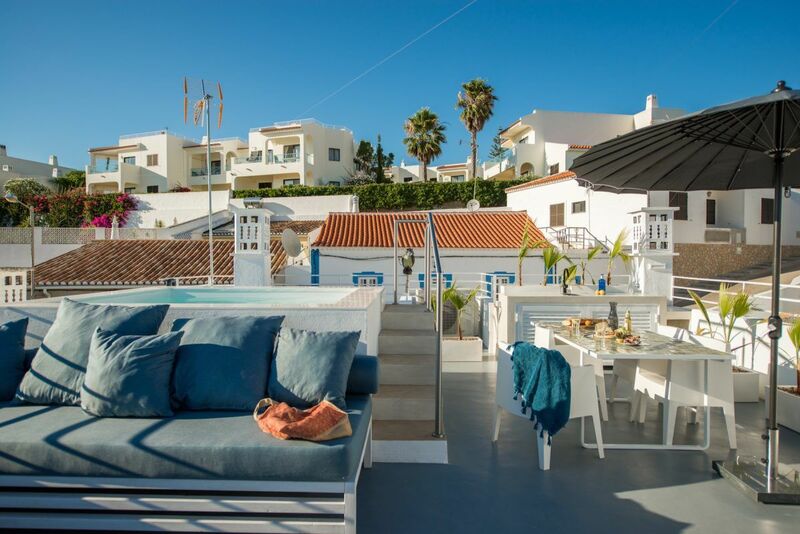 From the Jacuzzi pool, you have a breathtaking view of Carvoeiro and the sea. 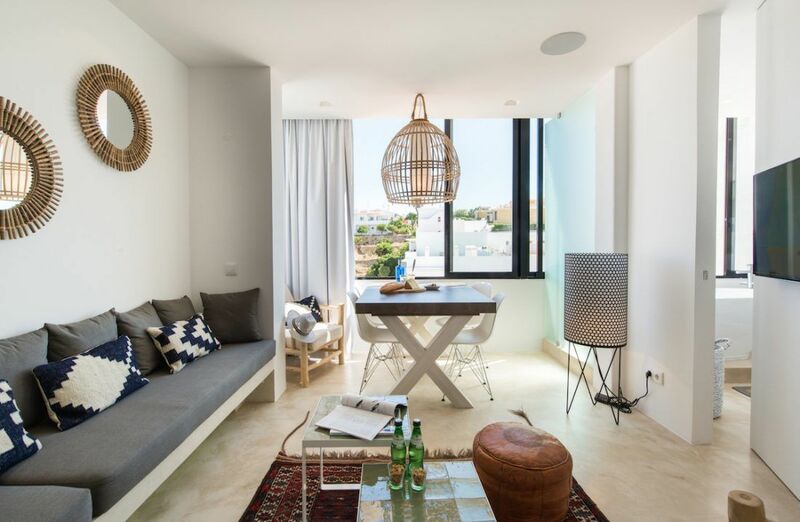 The high light of this location, next to the tasfully decorated apartment, is the direct environment. The ocean, the typical cliffs and the center of Carvoeiro in the vincinity. Within a couple of minutes you walk to the center of this lively village. In summer there always is live music at the square. Really a great destination to spend your holidays! - The owner requires a security deposit of € 200. This total deposit will be refunded after the final cleaning has taken place.